This is my fingerstyle guitar cover of "Dark Eyes", traditional Russian song. 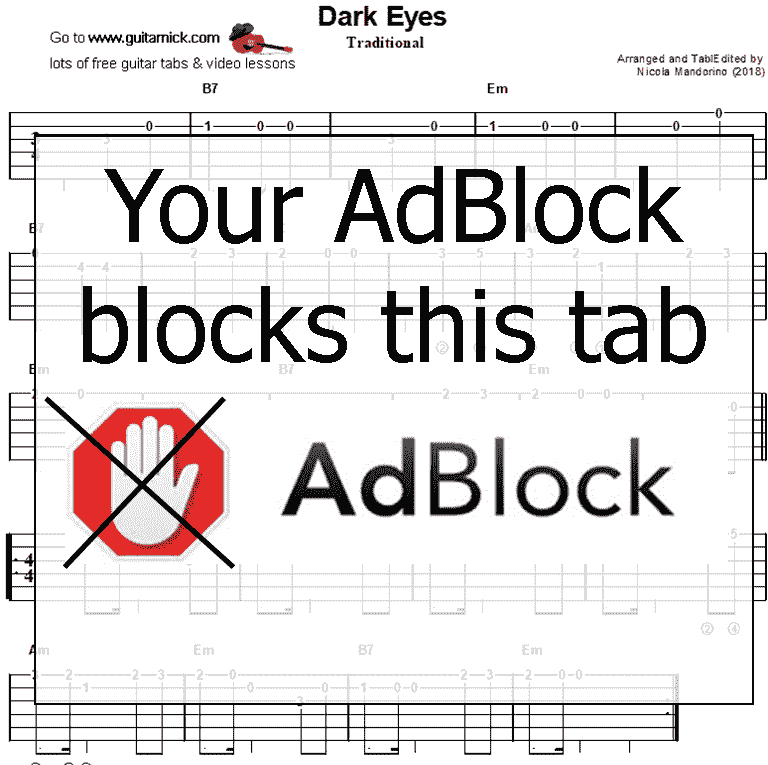 In this guitar lesson you find guitar tab, sheet music and my video tutorial. - Arrangement: I arranged two different parts for this piece, the first one is a classic melodic slow version, this is good for beginners but play it with very feeling. 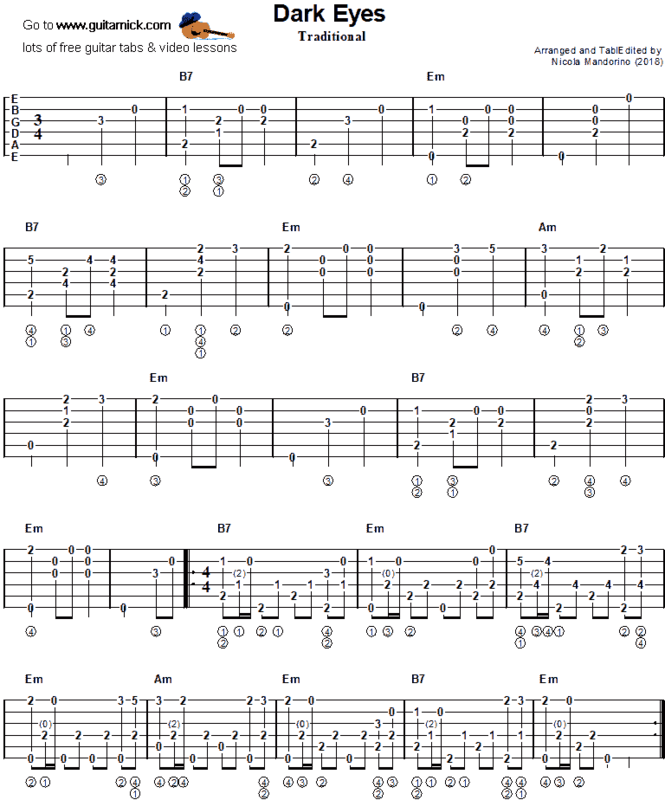 The second one is a 4/4 fast alternating bass thumbpicking style version, good for intermediate-advanced guitarists.